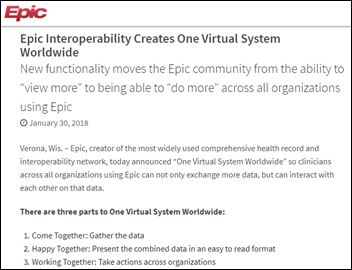 Epic issues a rare press release to tout “One Virtual System Worldwide,” new functionality that includes components called Come Together (gathering data), Happy Together (presenting data from multiple sites in MyChart), and Working Together (allowing users to take action across Epic-using organizations). View thumbnail images from other Epic sites, which when clicked will retrieve a reference-quality image. Book appointments with another Epic site to which a patient is being referred. Allow clinicians to communicate via secure messaging across Epic sites. Search for both discrete and free-text data across Epic sites. Schedule teleheath visits with other Epic sites. Future plans include the ability to: (a) check for duplicate imaging and lab orders across sites; and (b) schedule referred patients directly at the new, Epic-using site. The announcement also notes that Epic sites can exchange 415 discrete data elements vs. the government-required 56. From WorryWart: “Re: hackers demanding bitcoin. Looks like that practice has started without health records. It’s scary to think about emails starting with, ‘We know you have a mental health condition – deposit two bitcoin or we release it.’ Could be the end of bitcoin itself.” The FBI warns of a surge in emails that start with, “I’ve got an order to kill you” but then offer to cancel the hit for $2,800 in bitcoin. From Potential Voter: “Re: the HISsies awards. How can folks vote?” I directly sent ballots to the 13,000 or so people who have signed up for HIStalk email updates. Those ballots are tied to their email addresses, limiting votes to one per reader in preventing ballot box stuffing (SurveyMonkey is brilliant and — as far as I know, unique — in offering that option inexpensively). Those emails went out Monday night and around 700 ballots have been completed as I write this. So far, the majority’s vote matches my own in 14 of 16 categories. What do you wish you’d known before bringing an ambulatory EHR live? Take a few seconds to tell me to increase your enjoyment of reading the collective recap later this week. USA Today’s technology columnist bangs out a quick story, “I tried Apple’s improved Health app. Here’s what I found,” that buries a critical point about his Health Records test drive 15 paragraphs down: “Since none of the 12 health institutions are in my back yard or store my data, I could only go so far in testing the updated app.” Translation: all he did was navigate to the Health Records login screen. Amazon, Berkshire Hathaway, and JPMorgan will create an independent company to provide healthcare services to their 1.2 million employees that will be “free from profit-making incentives and constraints.” Warren Buffett referred to healthcare in the announcement as “a hungry tapeworm on the American economy,” Amazon’s Jeff Bezos said that “reducing healthcare’s burden on the economy while improving outcomes for employees and their families would be worth the effort,” and JPMorgan Chase CEO Jamie Dimon said the company will create solutions that not only benefit employees, but “potentially, all Americans.” That’s nearly $200 billion of net worth talking. Skeptics note that big businesses have tried and failed in the past to band together to force provider costs down, but healthcare-related stocks still led the market sharply down Tuesday after the announcement. The HCI Group acquires Meditech consulting firm Infinity HIT. 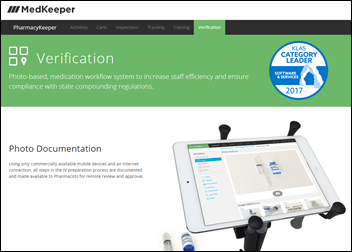 Spain-based blood products vendor Grifols invests $98 million for a 51 percent stake in MedKeeper, which sells hospital pharmacy software for IV compounding, medication tracking, cart management, and unit inspections. Harris Healthcare moves Canada-focused Emerald Health Information Systems from its sister company MediSolution to Harris Healthcare Clinical Solutions, where it will join its EHR, clinical documentation, medication management, and acuity-based staffing products. Dell may undertake a reverse merge with publicly traded VMware – of which it already owns 80 percent, gained in its $67 billion merger with EMC in 2015 – to allow Dell to become publicly traded without running a separate IPO. It would be the biggest merger in tech history, allowing Dell’s shareholders to reap the benefits of the merger and helping Dell pay down its $50 billion in debt. VMware’s growth has slowed as customers move from running data centers with virtual servers to cloud-based systems. In England, East Lancashire Hospitals NHS Trust chooses Cerner Millennium. Crawford Memorial Hospital (IL) chooses Cerner under its CommunityWorks hosted model. 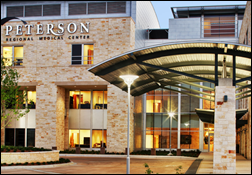 Peterson Regional Medical Center (TX) adds Access’s web-based Passport Registration and Passport Clinical to its existing electronic forms and signatures implementation. HCR ManorCare will roll out PatientPing’s care coordination platform to its 500 post-acute and long-term care facilities. Washington University School of Medicine (MO) signs a partnership agreement with Israel-based MDClone to aggregate research data from BJC HealthCare in the company’s the first deal outside of Israel. The 25-employee MDClone was founded in March 2016 by Ziv Ofek, who started dbMotion and sold it to Allscripts for $235 million in 2013. Influence Health promotes CTO Rupen Patel to CEO. He replaces Mike Nolte, who will leave the company. Christopher Maiona, MD (Team Health) joins PatientKeeper as chief medical officer. A GAO report to Congress says the US Coast Guard is placing service members at risk because it went back to paper recordkeeping following its attempt at implementing Epic, which consumed seven years and $60 million (not counting internal and external labor costs) before the project was abandoned in October 2015. USCG retired two legacy systems that Epic was supposed to replace, with project’s failure forcing it back to paper and Microsoft Office applications. USCG had implemented the DoD’s old CHCS system in 2002, but decided the cost of moving to AHLTA in 2009 wasn’t worth it and instead signed a $14 million contract for Epic’s ambulatory EHR. It found during implementation (!!) that several other of its legacy systems were outdated, requiring a project expansion to include another 25 vendors at an additional cost of $56 million. GAO analysts found poor project oversight and still-undocumented lessons learned. The GAO recommends that USCG get moving on deciding what it wants to do given that it launched a procurement process in February 2016 and identified its desired solution in October 2017. USCG responded that it plans to award an EHR contract later this fiscal year. USCG’s health division covers 50,000 service members, retirees, and dependents from its 41 clinics and 125 sick bays (easily depressed taxpayers shouldn’t perform the cost-per-member math of yet another bungled government software project). In a follow-up House committee hearing, Rep. Duncan Hunter (R-CA) pressed USCG to “not waste time and money” and simply choose Cerner as did the DoD and VA, but Rear Admiral Michael Haycock says that while that’s an option USCG is considering, more due diligence is needed before signing a contract. Iowa’s state senate is reviewing a bill filed by the Board of Pharmacy that would make it illegal for providers to hand-write prescriptions, which worries the state’s medical society, which fears that providers won’t be ready by the the July 1, 2019 compliance date. HHS’s latest cybersecurity newsletter offers cyber extortion tips. 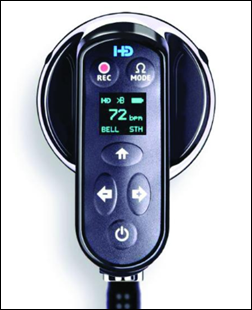 HD Medical markets a Bluetooth-connect stethoscope that captures heart sounds as well as EKG waveforms, with FDA approval pending. A doctor in Canada is suspended for one month for altering the electronic medical record of a patient after she died, modifying several notes to falsely indicate that the patient had refused treatment recommendations. 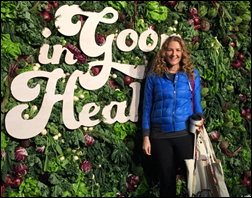 Jen Gunter, MD writes a hilarious, occasionally profane, and brilliantly scathing recap of her undercover attendance at the “In Goop Health” conference run by Gwyneth Paltrow-owned Goop and the out-there medical claims made by its speakers. I was initially worried they wouldn’t let me register, but some quick homework told me they had offloaded registration to a third party, so I thought it highly unlikely there was a no-fly list. I did consider that I was just full of myself and they just didn’t care about me attending; however, along the way I received a tip that the Goopsters hate me more than gluten, cow’s milk, and McChemicals combined, so I think they just never thought I would go … There were non-toxic manicures that smelled as bad as regular manicures, some weird facial station that involved a mask that looked like an early prototype from “Phantom of the Opera,” and Sonic Womb music … There was a drink that tasted like the inside of a spa. If you actually rinsed down a spa and put the effluent into bottles, this is what it would taste like. There was also charcoal lemonade. It tasted like lemonade. The guy handing it out said it was good for “toxins.” I explained that charcoal was an antidote for poisoning and that it did not bind toxins and that I was toxin-free. He didn’t care. At “In Goop Health, ” the truth is irrelevant and words are meaningless … The actual content started at 10 a.m. GP (her formal name, no one calls her Gwyneth) was the mistress of ceremonies, and for such a seasoned actress, she said “um” a lot. She looked fine, but up close she looks her age, so there is no magic in Goop skin care products. The glowing twenty-something skin on the magazine covers is just the power of Photoshop. In India, a hospital visitor dies after accompanying an elderly family member to the MRI room while carrying the patient’s oxygen tank, causing the 32-year-old to be sucked into the MRI machine where he was crushed. I’m guessing that someone offers a magnetic or metal-detecting door sensor that won’t allow anyone to enter an MRI room with metal when the machine is turned on. Catholic Health Initiatives implements Summit Healthcare’s Summit Scripting Toolkit for workflow automation. ROI Healthcare Solutions publishes an explainer video of its services. PatientPing publishes a case study of how Pioneer Valley Accountable Care used its system to improve care coordination. Audacious Inquiry will present at the MDHIMSS Winter Educational Event February 2 in Baltimore. CoverMyMeds will exhibit at the NACDS Regional Chain Conference February 4-6 in Fort Lauderdale, FL. Fundación Valle de Lili Institute becomes the first in Colombia to achieve HIMSS EMRAM Stage 6 following high adoption of Elsevier’s Care Planning solution. Huntzinger Management Group announces a strategic partnership with Coretek Services. Kyruus reports record-breaking success in 2017 with almost 400 hospitals now on the ProviderMatch platform. I been following best in KLAS for many years. I looked into registering a firm to best in KLAS and they require quite a bit of money upfront to get the analysis done and then membership fees at that. What I am wondering is how much Epic has footed to be best in KLAS 8 years in a row? Not to mention the firms that you constantly see repeating themselves over and over again. Is there an actual service out there that is a third party that doesn’t have a financial interest in the KLAS certification or ranking process? I noticed health systems look at these ranking when making decisions and then disappointed when their expectations are not met. My two cents. 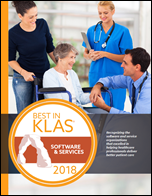 You can register for “Best in KLAS”? There’s a “membership” requirement? While there might be legitimate issues with KLAS, things like that make KLAS detractors sound like some Illuminati conspiracy theorists. This is consistent with my experience too – it seems vendors have to pay to play with KLAS. Several years ago when I looked into it and spoke with the KLAS people (I was on the vendor side), I walked away with the impression that KLAS was out of reach for us. I’ve always wondered whether my understanding of that conversation was flawed – I’d love to hear that I was wrong. It would be great if someone from KLAS could clarify. Regarding Bitcoin extortion — A few months ago I received a form letter with my name at the top insinuating that I was cheating on my spouse (which has never happened) and that I would be exposed if I didn’t pay some anonymous individual some bitcoin. With the EMR market becoming mature, I wish Epic would use their leadership position to do more outside of the EPIC bubble. The features they are building within the EPIC base are AWESOME and they would be doing a great service to the industry to lead in the definition of standards to enable the entire industry to participate. I think they would find they become even more valuable to their clients. It’s hard, but it’s time. Bobby, agree these look like things that would be nice to have industry-wide. That said – and withholding praise for Epic until there’s proof of actual use – I’ll take leadership by DOING SOMETHING over leadership-by-powerpoint any day (I’m looking at you, CommonWell). My observation is that industries advance by someone going first and executing better … not by everybody agreeing on a lowest common denominator. Any Epic sites actually using this stuff willing to weigh in on how real it is? Standards are great, but governance is more important. It is the prime vehicle for inter-airline cooperation in promoting safe, reliable, secure and economical air services – for the benefit of the world’s consumers. The international scheduled air transport industry is more than 100 times larger than it was in 1945. Few industries can match the dynamism of that growth, which would have been much less spectacular without the standards, practices and procedures developed within IATA. At its founding, IATA had 57 members from 31 nations, mostly in Europe and North America. Today it has some 280 members from 120 nations in every part of the globe. I think Epic is through their work with the Sequoia Project. Peter DeVault from Epic is on the board and Epic is a founding member. Hopefully the work the ONC is doing can be in line with that work and don’t go off and create something totally separate. Epic doing all of this work to connect between Epic customers is a lot more easy to accomplish since you can build in the functionality, control requirements, and control the message process/processing. If they were to try to do this for the industry, it’d be damn near impossible without buy in from all of the EMR vendors, let alone take multiple times longer. Epic communicating with Epic is a great first start and certainly leads the way in actually accomplishing something. Someone needs to pull the bandaid. Touting same-vender interoperability seems spectacularly uninteresting. Of course a vendor’s own technology should communicate with itself. 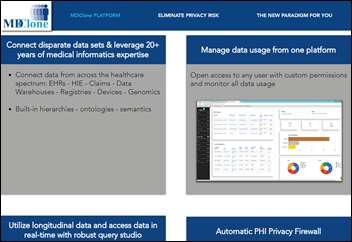 The are more than enough recognized and tested inter-system communication protocols (DIRECT Messaging, FHIR, HL7, CCDA, the X.12 EDI for everything from claims to RX’s, DICOM, the IHE Profiles and PIX/PDQ … and the list goes on and on and on ..). So there is absolutely no need for another standard for communication in healthcare. In fact the promulgation for new standards seems to be one of the deterrents to reliable inter-systems communication. It just give the EMR vendor another thing to charge the hospital and physician for before they can get the full value of the last upgrade they already bought. We already have the complete syntactic structure for healthcare data and we have the full range of semantic context determined to give it appropriate meaning. What we need are the vendors to stop making the use of these well thought out and excellent protocols too costly to utilize, which they only do to continue to enforce their monopoly over patient and other clinical and revenue cycle data. My $0.02 after 20 + years in healthcare IT. Dang bill, you should work in sales at epic, since you just made their entire point. Would you rather but all those rolls of digital duct tape and the people to string it together – or have it done for you with no special effort? They’ve been working on this stuff for years, since before I left. I don’t think any other vendor has put in that effort. Back then, it was also free …. errr “included” … Not sure whether that’s still true. Except where in practice have you ever seen any of those standards effectively used across vendors? Not very often at scale. I hope this includes the pharma and payor industries and not just the provider industry. Jeff, Jaime and Warren are joining forces, Apple is coming out with further development in healthcare, and what do we get from Epic? Interoperability within a single platform, underwhelming. No matter the marketing this is just more hype from the Wisconsin cult. Serious question – do you have a better platform for exchanging discrete data that vendors can participate in? 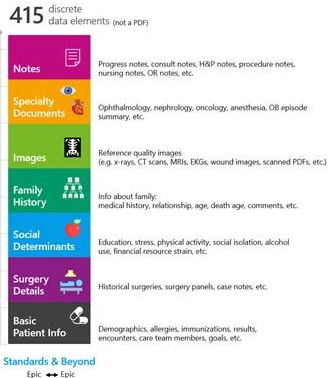 People always say we need “more interoperability” and I always ask them – how would you discretely communicate between softwares at different sites: a cancer patient’s diagnosis, labs, treatment plan, medication schedule, etc. Do you need a VPN or will it be over the open internet? What standard supports doing something like that? Or if a vendor comes up with their own standard would we just dump all over them for participating in “information blocking”? Just seems like a lot of people talk about something they only know superficial details of. And yet they feel so certain in their generic opinion. Exactly, Henry. I could not agree more. And the to your question AynRandWasDumb is that there are myriad ways to “discretely communicate between softwares (sic) at different sites: a cancer patient’s diagnosis, labs, treatment plan, medication schedule, etc” it just depends on the business case and context of the transmission as to which existing transmission protocol you would employ. As I said we already have the complete syntactic structure for healthcare data and we have the full range of semantic context determined to give it appropriate meaning. Syntactic structure and semantic context: MHS Genesis has both. They also have the largest HIT project budget in history and the full attention of the world’s largest HIT vendor. And yet, they have no connection to any of that vendor’s other sites. No connection to CommonWell. No connection to Carequality. What they do have – after coming a year late out of the gate – is a read-only viewer connection to the VA that you have to open in a separate app. Why does every 5-doc clinic on athena go live connected to Carequality, but the $5b flagship goes live with NOTHING? Vaporware. Totally agree that it should have been prioritized. No idea why it wasn’t. That does not mean the software does not exist or function or the intent of the organization should be ridiculed. Bobby, it was prioritized, if not THE priority. To argue otherwise is either disingenuous or uninformed. I don’t have anything against anyone’s good intentions, if they do exist. I certainly don’t “applaud” the results or the delivery, because both are absent. When you sell one thing and deliver nothing (ok, maybe I’ll give next-to-nothing), I’m going to call it what it is. You’re paying for it, too. That doesn’t bother you? I was close to some of the planning. The VA connection was prioritized with “other” connections coming in the next phase. Of course, that was a few years ago. I understand the cynicism, but I am hopeful the industry can do like other major consumer-oriented industries have done. Collaborate and put the consumer in the drivers seat. For F* sake, who is disliking this comment? Dislikes for asking for collaboration? Put your grandmother in the center and then comment on what the industry needs to do.